During the past two and half years, WebXloo has created over 100 internet sites. This depth of experience is what gives you the confidence to launch a comprehensive and technology rich site for your business. From the initial planning stages through the final launch, Webxloo has the expertise to carry your project with skillful care and professionalism. Our team of developers follows the stages of delivery closely, with detailed analysis and reports, Q&A and in-depth discovery of the needs of the end-user. This quality and care allow us to deliver the type of architecture and functionality that gives the end-user the greatest ease of use and thus the most pleasant experience. Improvised technical solutions to unforeseen problems are a common requirement, but the creative application of good social and communication skills is even more important. Neither capability is in short supply at Webxloo. Whether your company needs to market a new website, launch an online advertising campaign, create banner ads, or simply gather information on market trends, Webxloo satisfies all of your online marketing needs and helps you to make informed decisions. 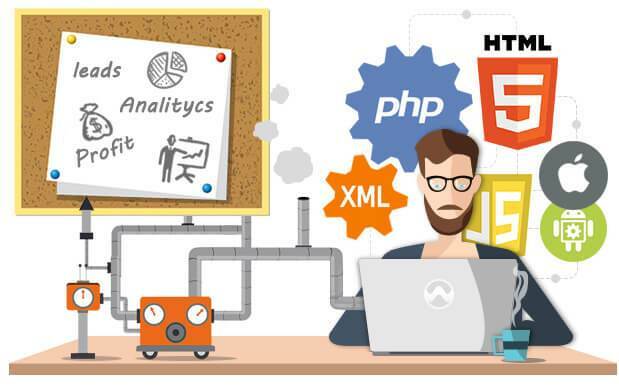 In addition to Web application development, we are able to design custom software components based on true, server-side applications that can integrate seamlessly with your existing applications and databases, whether Web-based or not. We stay abreast of new technologies, protocols and trends. But while Webxloo strives to ensure that our clients get the most out of what the Web has to offer, we are conservative about implementing untested technologies just for the sake of being "first on the block" to try them out. We do not allow our clients' sites to become proving grounds. Webxloo is here to make sure you stay on the cutting edge... without getting cut.